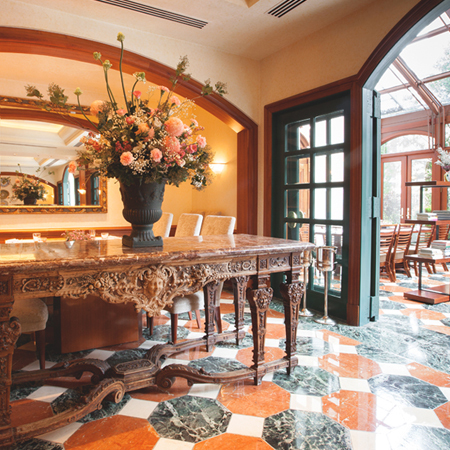 The Sherwood Taipei is “Your Home Away From Home.” A beautiful hotel that combines the best of the East and West in terms of interior design, art collection, furnishings, services and dining, as the meaning of its Chinese name — Xihua — suggests. You will truly feel at home as soon as you open the door to your room and step into the quaint and relaxing atmosphere that awaits you. With sincere greetings and delicate floral settings at the first sight you step in 343 finely furnished guest rooms, guests can enjoy a friendly yet elegant environment with all-serviced elevators restricted to guests only. Effective soundproofing, filtered fresh air, and cozy comfortable mattresses allow travelers to escape from the noise and pressure of the day’s work. Sherwood Taipei is the ideal place to stay, located only 10 minutes from Song Shan Airport and 5 minutes walk to the Brown line-Zhongshan Junior High School MRT Station. A graceful presentation of culinary arts using a daily supply of freshly caught seafood and seasonal ingredients. TOSCANA Italian Restaurant (Ext.3001): A signature presentation of Surf & Turf U.S. Dry-aged Steak and lobster selections, as well as Antipasti Bar for lunchtime. 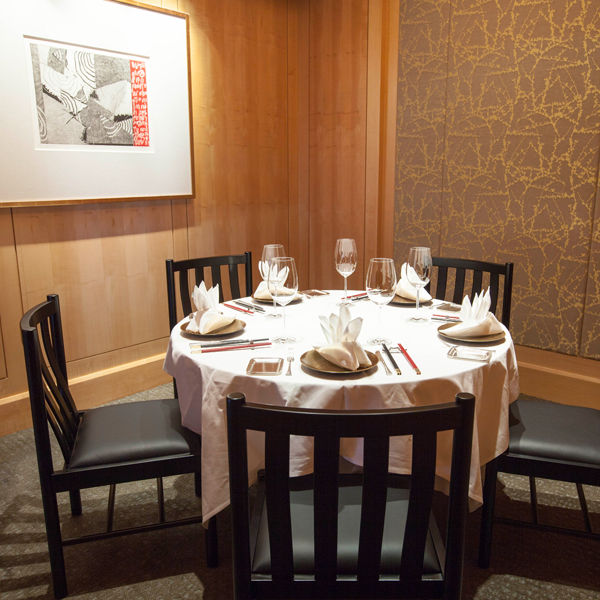 With offers of private dining rooms, the menu displays a kaleidoscope of Cantonese, Sichuan, and Taiwanese styles that have delighted former U.S. President George Bush and former British Prime Minister Baroness Margaret Thatcher. 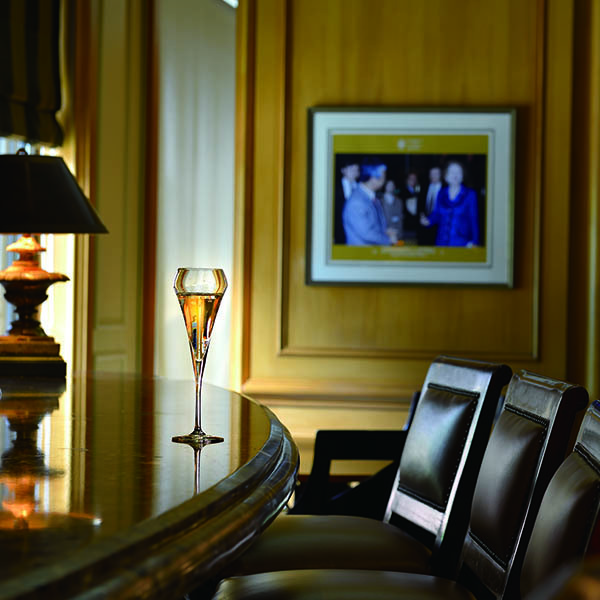 A classic, British-style bar that offers beer or stylish cocktails in the warm and relaxing atmosphere. Masterfully cooked dishes served in sophisticated-designed venues. Private dinning rooms and customized menu available. 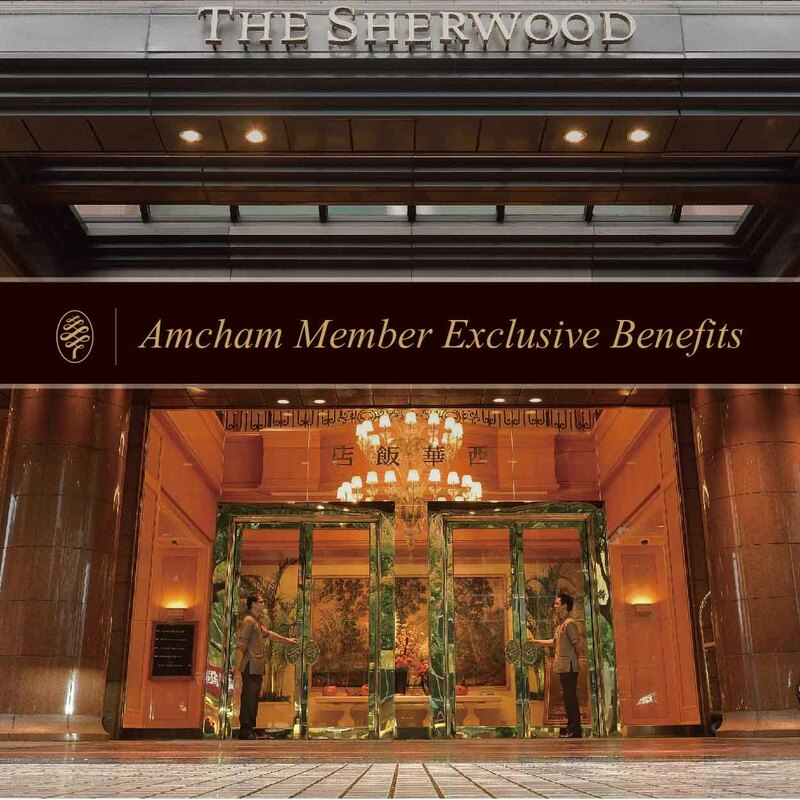 Please present your AmCham ID to enjoy discount before settling payment.